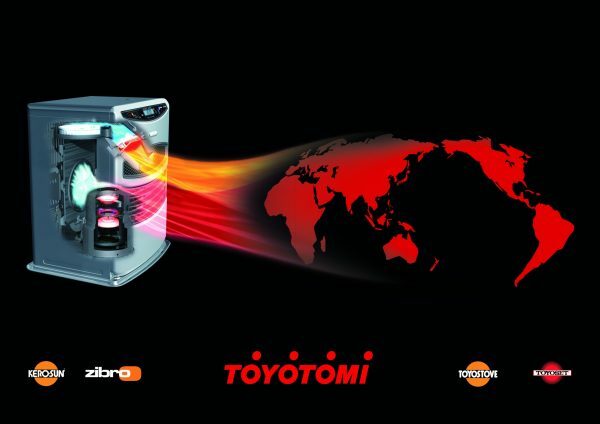 Toyotomi Co. Ltd., Japan, has associated its different brand names to the reliability and quality in designing and manufacturing high performance and innovative products, but also in creating a better environment for consumers all over the world. Toyotomi has a clear vision, which is mainly to provide products and services with a high quality level to our customers, always with the rule of protecting the environment and improving living standards. TECHNOLOGY: Toyotomi will continue the research, development and production of products in harmony with the modern way of life. Objective: the combination of performance, safety and comfort, with perfect design. QUALITY: Toyotomi’s quality control system, originating from their automotive background, consists of an ongoing evolutionary process that includes the entire production and concern all the group companies. RECYCLING AND ECOLOGY: In Toyotomi the dominant idea for the protection of the environment is reflected in the adoption of the following initiatives: reduction of waste production and recycling materials for the production of raw materials. DISTRIBUTION: The Toyotomi products are available worldwide through a strong, highly effective and qualitative network of distributors, covering the entire Japanese market, North America, Europe, the Middle East and South East Asia.